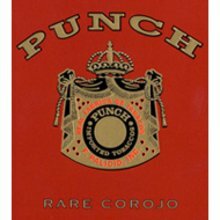 The Punch Rare Corojo Gusto Tubo is part of a line of square-pressed cigars that are released in small quantities and always remain at the top of the ratings. The Rare Corojo blend is made with rich, dark Sumatra wrapper leaves that are grown in the mountains of Ecuador, and the filler is a rich blend of Honduran, Nicaraguan and Dominican tobaccos. Aged to perfection, these Honduran gems offer robust, smoothly textured notes of sweet spice, leather, some earthy tones, and caramel. This is a fabulous cigar. Great draw and flavor. Actually one of the best I purchased in a while.